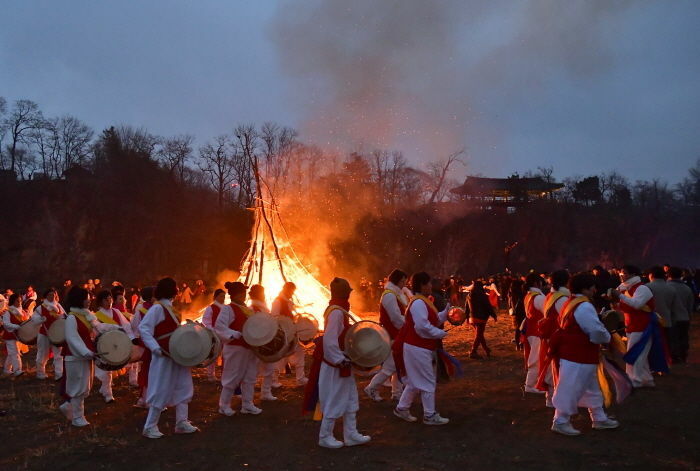 Samcheok Jeongwol Daeboreum Festival is a festival that blends gijuldarigi, Samcheok's local game of tug-of-war designated as Gangwon-do's Intangible Cultural Heritage, with other traditional customs of Jeongwol Daeboreum. The festival aims to preserve and develop both national and regional customs and traditions as well as to promote local economy and provide an opportunity to bring the community together. * Programs subject to change. From Dong Seoul Bus Terminal, take an express bus bound for Samcheok Bus Terminal. - Walk toward Samwon Tower, which is across the street from the bus terminal, and continue walking straight for 450m to arrive at Samcheok Expo Square.